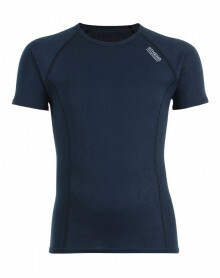 A sport T-shirt for men has to be in a light, comfortable material that lets the skin breathe. Some big brands of underwear for men have developped T-shirts specifically adapted to sport practice. IMPETUS offers T-shirts perfectly suitable for repeated movements with ergonomic forms and ultra breathable fabrics. These T-Shirt short sleeves Athena from the Titsmik collection offers a soft and light material in Jersey, 49% polyester, 46% viscose, 5% lycra. 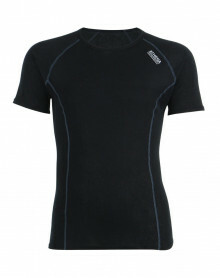 The v neck t-shirt Sloggi Men mOve FLEX (Black), is perfect for intense and physical training. In order to leave free all the movements of the sportsman, the sports t-shirts are made in a way to be as light as possible, especially thanks to very fine seams on specialized textile. However, the sports t-shirt remains very resistant and is designed to dry quickly, as well as let the skin breathe. Brands like ATHENA, HOM or IMPETUS offer high-quality sports t-shirts.